Unit 56 is a north facing one bedroom unit with a sunroom, bathed in natural light. It features an ensuite bathroom and kitchenette. 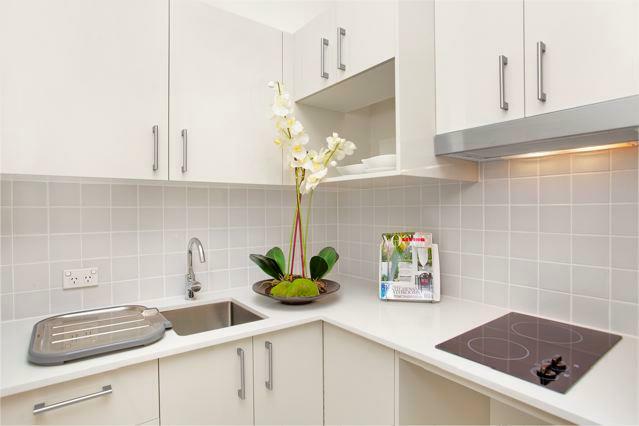 The kitchenette is ideal for preparing your favourite meal. 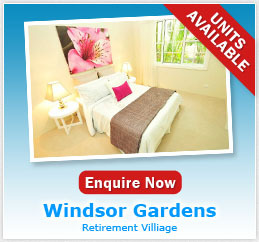 There is also a car space allocated for your use while you reside in the village. The unit is light, bright, airy and sunny. It overlooks manicured gardens. Please contact the village for an inspection. Newly listed. Unit 31 is a one bedroom unit located in our serviced apartment building. Close to all the facilities. 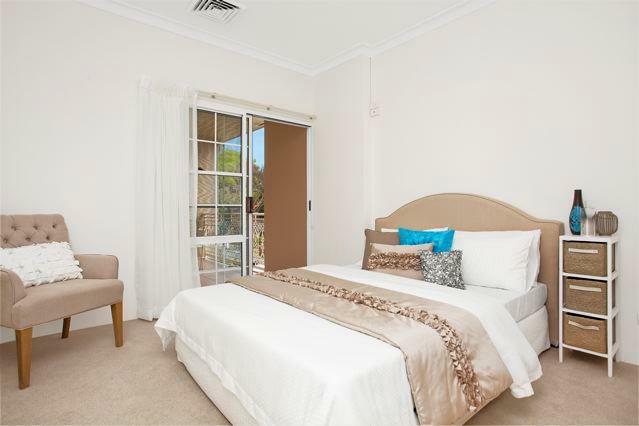 Ensuite bathroom, small kitchenette, living and bedroom rooms. Living opens onto a lovely sunny balcony. 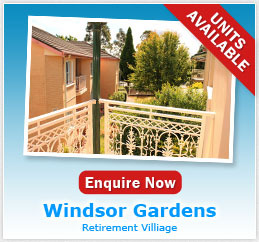 Ideal for spending time in the fresh air. Please contact the village for information or inspection. 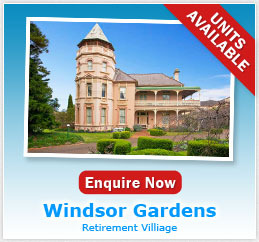 *****PRICE DROP******** Set within the acclaimed Windsor Gardens Retirement Village, this light filled apartment will appeal to those seeking a relaxed lifestyle in a close knit community. Light filled interiors include open plan living and dining. Good sized balcony enjoying outlooks over private garden. Neatly appointed kitchenette, large bedroom with built-ins. Fully tiled bathroom with separate w/c, air conditioning. 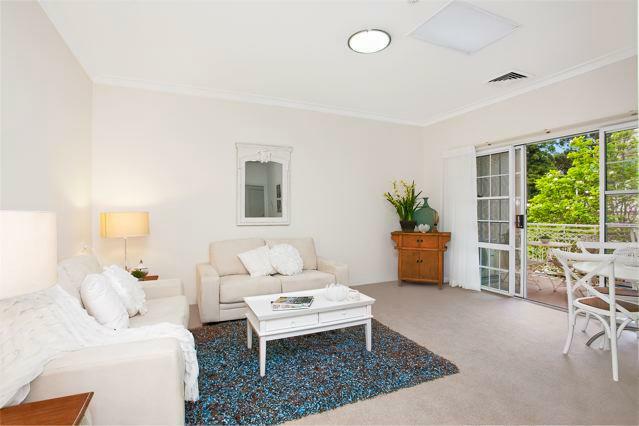 Spacious two bedroom independent living unit located in the luxury West Wing. Delightful balcony overlooking the garden. Great for an outdoor cup of tea soaking up the fresh air and sunshine. And of course, there is a car space included. Unit 32 sparkles with its new carpet, paint and light fittings. There\\\'s plenty of space in the wall of built-in wardrobes. This is an end unit and only has one common wall. There\\\'s a delightful outlook from the balcony that opens out from the living area. Great for enjoying some fresh air and sunshine. 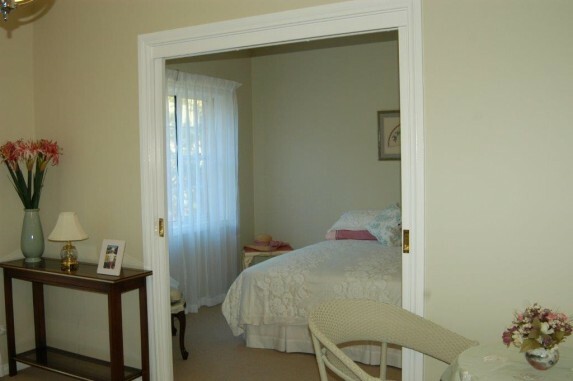 Unit 32 is one of our larger one bedroom units. The village is open 7 days a week for your convenience and this apartment can be viewed at any time. Unit 57 * Large bedroom with built-ins *Open plan lounge/living *Kitchenette area *Bright and airy, northerly aspect with morning sun. 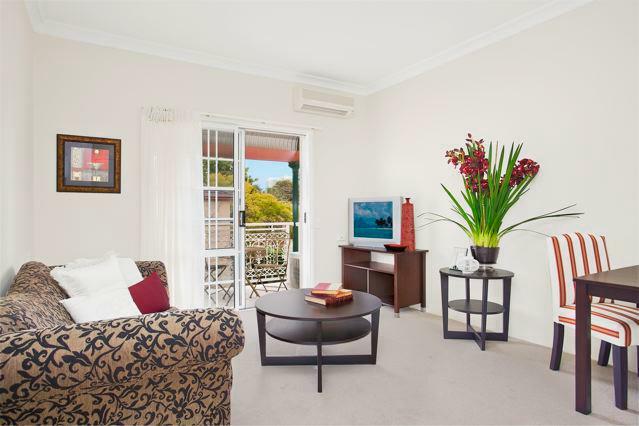 *Sunny balcony overlooking manicured gardens, *Level walk to Chatswood CBD & amenities. This spacious one bedroom apartment is a full service apartment which can receive 3 meals each day, weekly cleaning and linen service. Close to lift and facilities. This unit offers independence and privacy. Located in our luxurious West Wing [no president] this very spacious - Independent living unit 70 is a 3 bedroom unit. The unit is very well presented. The apartment offers privacy and leafy garden views. Enjoy the spacious balcony terrace which is ideal for outdoor dining or a lovely cup of coffee. Lift will take you from basement car space to the first floor, Foxtel available and just a short stroll to the Grand House and socialising. 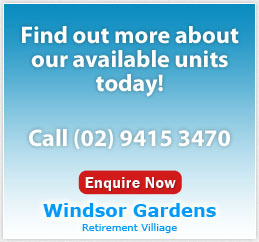 Contact us for more information or to view the property. Tel. 9415 3470.